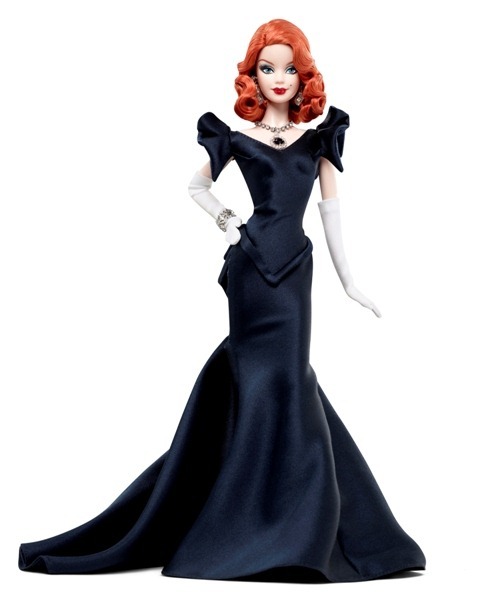 **Note** Photo is property of Mattel, Inc.
Mattel also released photos of a new Barbie designed by Robert Best called Hope Diamond Barbie. Here name may change down the road but here are the first photos of her. She will retail for $74.95 and is due out in Spring of 2012. Steep price but it is the Hope Diamond after all. LOVE the gown and the gorgeous red hair. I hope the production doll looks very similar to this! This entry was posted on October 3, 2011 by raberry65. It was filed under Barbie and was tagged with Grace Kelly Barbie, Hope Diamond Barbie, Mattel. 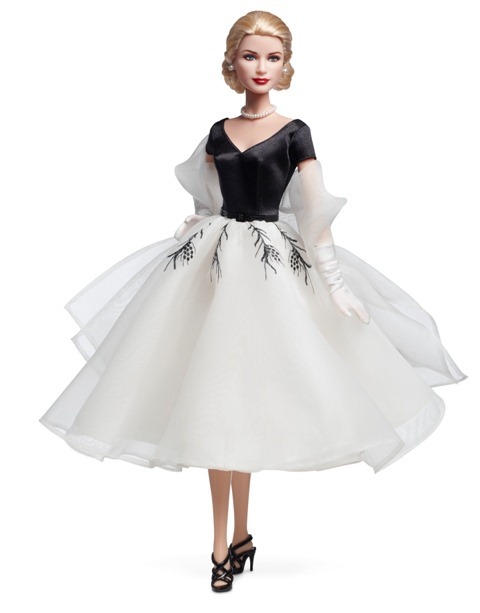 I love the Grace Kelly doll and outfit, and even though not always a blonde fan I think the Hope Diamond Barbie would look good as a Platinum Blonde, in either a white or pale blue dress with rhinestones on the dress. The style of the dress is nice but the color on the redhead is a little too dowdy looking and just doesn’t POP in my opinion. Diamonds I’m thinking a littlle more bling/sparkle. Ohhhh you are so right Vince. She would have been stunning as a platinum blonde. I hear your point about the dress color but I think her pale skin tone would not suit a pale color and that is perhaps why they chose the red hair as well. It contrasts so well with the color of the gown and the pale skin. I would absolutely LOVE to see a platinum blonde with that hairstyle in a pale blue gown though….gorgeous! Also..I think the color of the gown mimics the actual perceived color of the Hope Diamond so perhaps that was what they were going for with the color. Just a thought. 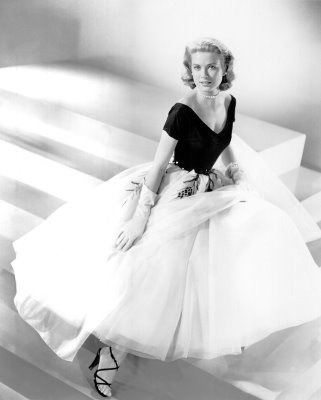 Thanks a lot Rebecca, I just ordered all four Grace Kelly dolls from the Pink Ponytail and it is all your fault! I don’t even collect this size, I like the bigger fashion dolls! I am a big Grace Kelly fan and have recreated several of her costumes for the 16″ sized dolls. I am looking forward to receiving my dolls. You are an enabler! LOL! What can I say….I have a gift for enabeling. Seriously though these ladies are gorgeous and I am eagerly anticipating the arrival of the Grace Kelly Silkstone giftset with the trousseau outfits. I will be so excited to receive the rear window edition. Since you are such a talented lady, I bet the versions you made for the 16 inch ladies are stunning.